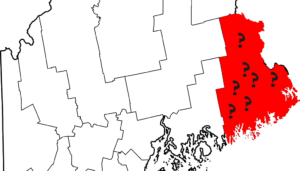 The Machias Valley News Observer is reporting that Verizon Wireless intends to withdraw from Washington County, Maine as of October 17, 2017. The Facebook posting claims that Verizon representatives confirmed they will be cancelling contracts for between 30,000 and 40,000 nationwide. The Observer also reports that Verizon will be forgiving any outstanding device payment plans Washington County customers entered into before September 12, 2017. Read the full post from the Machias Valley News Observer here.